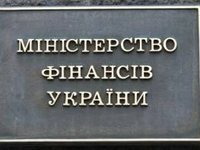 The version of the strategy of banks' development published in some mass media is not the latest version of the document developed by the Finance Ministry of Ukraine. "The document "The strategy of development of state-owned banks," published in mass media, is not an official document, is not approved by the Ministry of Finance and does not reflect the policy of the Finance Ministry and the special working group, which was established for the development of such a strategy for state banks. Among other things, the timing parameters presented in the published document do not correspond to reality," the press service of the ministry said. According to the report, there are no grounds for reviewing the state guarantee of deposits in Oschadbank. "The state guarantee of deposits in Oschadbank is valid and is fixed at the legislative level in Article 57 of the law. There is no reason for revising this provision. Any changes to this provision are possible only by making appropriate legislative changes and their consideration at the highest state level. Now the Ministry of Finance does not consider it necessary to make such changes," reads the report. Deputy Finance Minister Artem Shevalev told Interfax-Ukraine that the development strategy for state banks will be adopted in the coming days.